I have had the earpiece for a couple days and it worked fine. I had to do a hard reset on the phone and now the earpiece won’t pair. I have tried all the normal advice. i.e., wiping the cache, powering off the devices then powering them back on. Can you help step by step on pairing FitBit Charge 3 with IPhone Apple8 plus? Basically you have to go in your SETTINGS on these devices and turn bluetooth on so one can discover/search for the other. 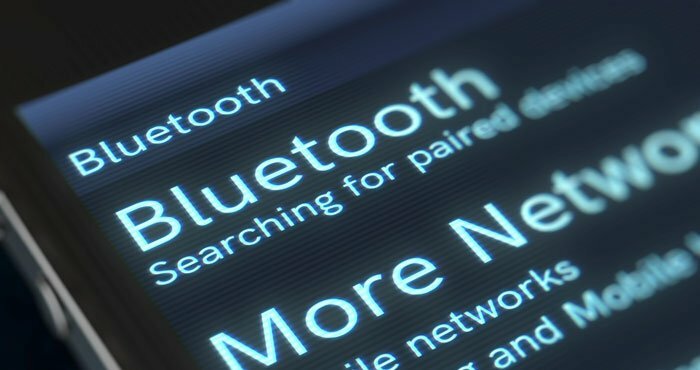 Find the name of your device you want the bluetooth on and chose it and the device should accept it. Note: Make sure it is turned off if its still connected in other devices you are not using because then it wont transfer. My Monster bluetooth doesn’t respond when I push the on/off button.The red light only comes on when it is connected to USB on my computer but no blue light no matter what I do. It has always worked with both my computer and i-Phone and now neither can’find’ it. Any ideas? All the articles I read were unhelpful, and through a lot of frustration I found this out on my own. While trying to turn off my headphones, I accidentally disconnected my phone from them. If you hold down both the menu button and the volume down button on your headphones, your headphones will forget and disconnect any connected bluetooth devices. When this happens, the headphones say “ready to pair”, but when you try to reconnect them to your phone, your phone states it cannot connect. So I found out the reason it does this is because it has a connect automatically setting, so that every time you turn on your headphones you don’t have to connect them manually to your phone. The way to solve this is actually relatively simple, but you will need a second device. On your phone, go to “settings”, then to “bluetooth”, then find the “Monster Achieve” device. Tap it, then tap “forget device” and confirm your decision. Now turn on your headphones. It should say “power on. Battery high/medium/low. Ready to pair.” Using your other phone or maybe your friend’s phone or something, go to their “bluetooth” in “settings” and connect your headphones. From here, push and hold the menu and volume down button on your headphones. Wait until you hear “ready to pair” from your headphones. Now on your friend’s phone, tap “Monster Achieve” under “bluetooth” in “settings” on their phone, and tap “forget device”. Now connect to your headphones on your own phone, it should work now. Once connected, your headphones should say “device connected” and will now connect automatically. Forgive me for this being a really stupid problem, but I swear I really just couldn’t figure out what was wrong with my headphones and wish I had of found the answer somewhere online, so I hope this helps somebody!! My radio in my 2003 Nissan Altima will not let me clear my Bluetooth devices. All other options are light up except my Bluetooth button on my radio. PLEASE help me fix this problem. I need to connect my new phone to my car and it won’t let me. Please help me!! Would like to know to what phone it can be paired up to. Also I tried it with moto E3 an we could only hear it on one side of the ear buds. I wanted to add that on my Samsung Galaxy S7, the network reset on my particular phone is under Settings> General Management > Reset > Reset Network Settings. I bought some cheap (Senso) earbuds that my Android Samsung S7 could no see. I cleared the cache and it worked perfectly thereafter. Many thanks. What is a Panasonic Home Theater “audio box”? Are you talking about a stereo receiver or something else? How old/what is the model of this “audio box”? From the email you sent me, you say you have a Panasonic SC-HTE80, which is a soundbar. Soundbars are intended to output sound from a source, not stream sound to another device (like Bluetooth headphones). The Bluetooth pairing function on that soundbar is simply intended to let you stream from a smartphone or computer to the soundbar. However, you’re not completely out of luck. We have another article directly focused on ways to connect headphones to your TV. My Jabra Halo smart Bluetooth while calling it’s automatically disconnecting . I’ve got earphones and I can only connect one at a time with my iPhone 6. It’s really annoying, since both work, but my iPhone just can’t send music to both at the same time, help please! You should only need to connect one. Individual earbuds are designed so that you connect one to your phone and then that one sends signal to the other one - you shouldn’t need to connect both to your phone. If you only get music out of one, it means that the two earbuds aren’t properly paired to each other. To do that, check the settings in your earbuds’ owner’s manual/set up guide. I recently bought a Sony XB30 speaker and it was easy to set up, pair to my desktop PC provided sound quality which was more than i need or hoped for for the price. I have never had a bluetooth speaker before. Originally, i started having static problems with the music,but i think i solved it by installing a Wifi Extender. The one problem i cant seem to correct is that the speaker will periodically stop playing..no longer appears to be paired…then after a few seconds to a minute it re-pairs itself and the music starts again. I cant figure out why this happens and i cant believe it is “normal” for bluetooth speakers to do this.It happens whether i am playing music, a movie ,YouTube video etc. I am seriously thinking of going back to a simple pair of USB wired speakers to eliminate the problem, but before i do and give up the beautiful sound of the Sony speaker i hoped someone on this forum could tell me whether this periodic dropping is just something blue tooth speakers or other devices do due to the nature of the technology which i would find hard to believe. Otherwise, what could be causing my problem. I have an excellent desktop pc which i keep totally up to date and maintained so i know that isnt the reason..Thanks for any help anyone can provide. I havent found anything on Sony’s website to help. Can i change my Bluetooth earphones setting if i plug it to my computer??? Or is there any apps that I can download to start tinkering with my device??? I have recently purchased the Lenovo Tab7 computer tablet. I was using the Amazon Fire HD7 and paired it with my Ministry of Sound Audio M Bluetooth speaker without any problems. However my Lenovo device is not pairing with my speaker. I have checked to see that Bluetooth is turned in. I have also downloaded several Bluetooth pairing apps but done of them detect my Audio M speaker. I would be very grateful if you can help me to sort this out. You don’t provide a lot of detail about what is happening when you try to connect, but could it be that the speaker is still connecting to the Fire tablet? Is the Amazon Fire still on?Have you tried “forgetting” the speaker on your Amazon Fire so it won’t automatically try to connect? Alternatively, you can try resetting the Ministry of Sound Audio M speaker by using a pin in the reset hole in the back. I have a Pioneer radio SPH-D002 recognizes all the equipment and all the computers recognize it. As requested in putting my comment here. I’m still unable to get my Lenovo Tab7 to find my Ministry of Sound Audio M speaker have reset the speaker I have disabled the Bluetooth on my Amazon Fire HD 7 tablet. I have tried switching on the Bluetooth on my speaker and then switching on my new Lenovo tablet. I then tried paying the devices. My Lenovo tablet still won’t find my speaker. Is there an app I need to download perhaps ? Have you tried other bluetooth devices? To narrow down the issue, have you tried connecting your Lenovo Tab to another Bluetooth device? This will help determine if it is a general problem with the Lenovo or something specific with that speaker/Lenovo combo. @article writter. Internet should ban you forever. My headphones or anything else.. Try resetting the headphones and see if that works. If you can’t see them on your phone at all when scanning, it could be a hardware issue with the headphones. I’m having issues pairing these two devices and hopefully someone might come across this and have a solution. The Monsters pair to my older Samsung Galaxy but not my current one. When in scan mode, the phone has never been able to pick up the headphones, not once. Yes, the headphones are on. In the manual, it says that the headphones automatically go into pairing mode when it’s turned on so there is nothing else I can do. It would be easier if I knew which device was having the problem. I went through the list of items above but it didn’t help either. I don’t think it’s something as simple as turning it on and off again or having it fully charged (which I both did). I bought the headphones specifically to use with my new phones at the gym so this has been a let down. Thanks for reading, any tips would be appreciated. Is it possible the headphones are still connecting to your old device, so they aren’t showing up for the new ones? 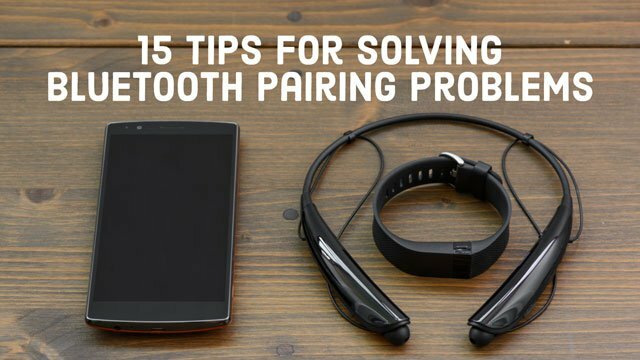 It might be easiest just to reset your Monster headphones and see if that clears things out to pair with your new Galaxy. When I pair my phone up with my vehicle I receive multiple devices with codes like 71:C7:74:F2:EE:C2. It says cannot pair when I tap on these devices. I feel like they are govt issued. Not trying to start a conspiracy theory but has anyone ever seen multiple devices with these types of numbers and letters for their name? The hexadecimal code you see can be used to determine the manufacturer of the device (https://www.bluetooth.com/specifications/assigned-numbers/company-identifiers). In this case, that appears to be from a company called U-Blox that makes automotive and other electronic components. Likely, these components are using bluetooth to communicate with each other for diagnostic and vehicle control purposes. Hope somebody will put me out of my bluetooth generated misery ! “Unable to pair with MDR-ZX330BT. (By default, the headphone has the code 0000 from factory) . On this phone model , S4 , there is no way to change a password or PIN, no place where this information could be found and changed! Does anybody can help me,please? On this phone model, there is no place where a password could be found and changed ! Could anyone help me please ? To the “headphone out” of my music player (has no bluetooth capability) I inserted a “dongle” bluetooth device. It pairs nicely with my headphones bluetooth. I have to redo the pairing ! Could anything be done , to maintain the pairing after each OFF of the Headphones ? I have potronics sound drum speaker.at first it pair with my phone Honor 7X but now my phone Bluetooth device but not pair always show pairing problems…. Before Xmas could connect to all my bluetooth items since christmas only one bluetooth in car & nothing else it finds & pairs but only connects to the one . So, I recently broke my bluetooth headphones, so I went to the store and got the SAME brand, and headphones, I have done everything on this page but the new ones won’t connect, anyone know why? I was trying to move some stuff from my ZTE to my new iPhone XR. And it’s always connection unsuccessful.. an when I tried to paired both phones together the iPhone says no connection.. there is anyway I Can move my stuff from my old phone to the new one ?? What speaker is your phone using? Check you phone when making a call on your hands-free system to see which speaker the phone is using. I find that if I initiate a call through my phone, I need to manually switch the sound to my car audio system, even if it is already connected to the hands-free system. If I initiate a call through the car’s hands-free system, things work fine. If this is happening for you, I don’t have a quick fix other than to initiate calls directly from the car system and not the phone. I was too close to my laptop. I have a UE Mini Boom which I play music from my Android phone. Current phone Oppo A57, previous Samsung 3. In both phones the music will play for a varying period and then it stops. The speaker and phone are still connected and the phone still shows that the music is playing. If I pause the music on the phone and then start play again, the speaker starts playing again. Have tried re pairing, distancing the two devises and a couple of other things. Bluetooth works fine on my earbuds and in the car. I have a bluetooth transmitter hooked to the optical output of my tv. When I put the transmitter into the pairing mode and try to pair my my Mpow or my HX 965 headphones nothing happens. The headphones have audio that say says pairing. Since there is no display except the ready for pairing light sequence I don’t know what I am doing wrong or should be doing. Any helpful ideas? What are the Windows sound settings on your laptop? If you right click the speak icon in your system tray and click Open Sounds Settings, or go Sound Playback Options in your System settings, what is the output device listed? If not Bluetooth, is it one of the options you can switch to? As for dropping with your phone, if you have the earbuds paired to both your phone and laptop, it could be that your earbuds are trying to pair with both devices, creating disconnects when they switch from one to the other. I am unable to answer my phone with out having my bluetooth. Phone rings. I answer. Incoming caller can be heard, but can NOT hear me unless I have bluetooth. I can receive text… but mine are not sending out. The phone is only 3 months old…..
I’m not clear what, exactly the problem is you’re describing, but it doesn’t sound like a Bluetooth issue. Are you saying that callers can’t hear you from the phone’s microphone, only when you connect a Bluetooth microphone/headset? 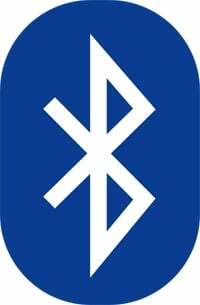 Ans the texting issue should have nothing to do with Bluetooth. I suggest you take your phone to your local carrier store to see if they can take a look and help you determine what is going on.